Festival Season is here and there are fun events almost every weekend! Events and more details will be added throughout the season. If you see any missing, please leave a comment. Let me know what your favorite festival is! Arnold Sports Festival: February 28 – March 3 Drawing more than 22,000 athletes annually who compete in more than 80 sports & events, including 16 Olympic sports, along with over 1,000 booths at the Fitness Expo, this event is every fitness enthusiasts “must-attend” event. Tickets start at $20. Spring Avant-Garde Arts & Craft Show: March 2 at Makoy Event Center. Admission $3 for ages 13 and up. A Taste of Clintonville: April 4 Enjoy samples from almost 25 Clintonville restaurants while listening to live music. CCAD Art Fair: April 6 A juried selection of Columbus College of Art & Design’s top alumni and students sell their wares at this must-see event. Proceeds from the art go directly to the artists. Ohio State Football Spring Game: April 13 Tickets will be on sale soon. Blast! The Big Science Bash at COSI: April 13. Fundraiser for COSI featuring more than 20 of Columbus’ favorite local restaurants, open bar, and more. Earth Day Celebration at Genoa Park: April 20 Free for everyone! Pizza and Beer Week with 614: April 22-27 Enjoy Pizza and Brews for a fraction of the cost during (614) Pizza and Beer Week presented by (614) Magazine. Ohioana Book Festival: April 27 This free event celebrates Ohio authors with events for book lovers of all ages. PBR10K with Parker Lee Foundation: April 27 All you can drink PBR, live music, food and more at a fundraiser to benefit Central Ohio Youth Organizations. S.P.A.C.E. Small Press & Alternative Comics Expo: April 27-28 Exhibition of small press, creator owned and art comics. Free! Taste of Granville: April 27. Taste test dishes from 20+ local restaurants, while you enjoy live music and drinks. A food truck rodeo will be outside too! Gluten-free Food Allergy Fest: April 27-28 Learn from experts – including editors of the magazine – watch cooking demonstrations by world class chefs and of course, taste tons of awesome gluten-free foods (dairy-free and nut-free also being showcased). Powell Touch-a-Truck: May 3. Kids will love climbing and exploring dozens of vehicles in Adventure Park including emergency vehicles, farm equipment, and city vehicles. FREE! Ohio Made Spring Shoppe: May 4 Featuring up to 50 Ohio handmade vendors at MLP, a new event space located near Huntington Park. The event space is in the old Municipal Light Plant building. Grove City Community Environmental Day: May 4 Dispose of unwanted items from your residence including documents, electronics and appliances as well as construction and landscape materials and tires (four per household limit). Ohio Mobile Shredding provides secure document destruction, and iRecycle collects electronic items including computers, printers, cell phones and CPUs. Central Ohio Folk Festival: May 4-5 Enjoy free concerts, jam sessions, dance tent, and kids’ activities including the instrument petting zoo. Spring Flea at Seventh Son Brewing: May 5. Columbus Underground Urban Living Tour: May 5. Tickets are $10 in advance or $20 the day of. Taste of Dine Originals: May 9 Taste specialties from more than 40 locally owned and operated restaurants, breweries, wineries and distilleries at this fundraiser for The Buckeye Ranch. Tickets are $125, so its definitely a splurge event. Chadwick Arboretum Spring Plant Sale: May 9-11. Choose from over 650 varieties of uncommon plants proven to grow well in Ohio climate and soil. Pick up some plants for your garden and for Mother’s Day! Made LOCAL Marketplace Spring Show: May 11 at Swan Lake Event Center. Free admission. Columbus Margarita Fest: May 11 at Columbus Commons. Tickets are $25. Wildzfest at The Wilds: tba. Free celebration at The Wilds with Iron Man and Thor, Columbus Zoo animals, entertainment, games and attractions, tours, and more. Columbus Oddities & Curiosities Expo: May 11 Oddities, taxidermy, wet specimens, antiques, odd jewelry, unusual art, bones, curiosities and all around creepy, strange and bizarre items. Tickets are $10, 12 and under free. Free Admission to the Zoo for Mother’s Day: May 12. Moms and grandmas get in free if they have a child or grandchild with them! ColumBEST Extravaganza: May 13. Celebrate the best restaurants, businesses, and places that YOU voted for with (614)Magazine. Ride of Silence: May 15 Join cyclists in a short, slow and silent processional through Downtown Columbus in honor of those who have been injured or killed while cycling on public roadways. FREE. Six One Pour – The Ohio Craft Beer Fest: May 18 Craft beer festival at COSI to kick off craft beer week! North Market Apron Gala: May 18 Tickets are $75-$100 and include food, drinks, music, and more. Asian Festival Dragon Boat Race: May 19 at West Bank Park. Free. Family Funday at the Columbus Commons: May 25 from 4-8 pm. Enjoy carousel rides, inflatables, games, arts and crafts, special visitors, characters, and more. There will be lots of free fun, with inflatables requiring a $5 wristband. Stay for a free showing of “Ralph Breaks the Internet” under the internet. Asian Festival: May 25-26 at Franklin Park. Free admission. Bloom Township Fire Fighters Annual Memorial Day Fish Fry & Car Show: May 27. Grandview Chocolate Walk: May 30. Walking tour of Grandview Heights with chocolate stops at participating businesses. $25/ticket; ticket sales will begin closer to the event. Newark Strawberry Festival: May 31 – June 2. Rides games, crafts, food, and entertainment provide the entire family with many exciting things to do, see, and taste. Enjoy the Strawberry Shortcakes made famous by the Newark Kiwanis Club and served with creamy Velvet Ice Cream, made locally. OHIO MADE Pop-Up Shoppe Summer Kick-Off: June 8. Shop local and drink local at Land-Grant Brewing with Ohio vendors featuring handmade goods – just in time for Father’s Day, graduation parties, or for yourself! Summer Avant-Garde Art and Craft Show: June 9 at the Makoy Center. Admission $3 for ages 13+. Duck Creek Log Jam: June 14-15. Music festival in Hocking Hills featuring artists with modern take on the classic bluegrass, folk, roots rock and americana genres. Grove City Wine and Arts Festival: June 14-15. Featuring 20 wineries, food, art and more. Red, White & Brats at Germania: July 3. Hang out before and after the fireworks, enjoying German food and heritage. A portion of the $5 admission goes to charity. Red White & Boom: July 4. Huge 4th of July festival in downtown Columbus with an all-day festival, plus entertainment, parade, and fireworks. City of Dublin Independence Day Celebration: July 4. Parade followed by a concert with Sheryl Crow. Westgate’s Summer Jam: July 14. Grassroots, free arts and music festival held annually in Westgate Park. Lancaster Festival: July 19-28. Celebration of music, the arts, and community. WesterFlora Garden Tour: July 22. Annual tour of gardens in the Westerville community that will be bursting with color, plant collections, theme gardens, scenic views and much more. Taste of Powell: July 26. Enjoy tastes from 23+ Powell area restaurants, caterers and specialty food shops at the Columbus Zoo & Aquarium. Hot Rod Hula Hop: August 11-12 Downtown local luau! Cruise the ‘Ville Car Show: August 18. Classic cars, food trucks, a touch-a-truck display that includes the Columbus Police Helicopter fly-in, Columbus Fire Safety House and the Baby Zamboni from the Chiller. Peach Fest at Lynd’s Fruit Farm: August 18. FREE festival with wagon rides, kids craft & games. Live music, food trucks, and more! WAG! Festival: August 18. Fun festival for the dogs and family. Urban Scrawl: August 25-26. Live creation of murals, art and more! OHIO MADE Pop-Up Shoppe: Game Day Edition: August 24 Shop local and drink local at Land-Grant Brewing with Ohio vendors featuring handmade goods – just in time to shop for all of your tailgate needs. The following August festivals have not been updated for 2018. Fall Avant-Garde Art and Craft Show: September 8 at the Makoy Center. Admission $3 for ages 13+. Slice of Columbus: September 12. Over fifteen area pizza shops will serve their most savory pies. Attendees will have the opportunity to sample pizza and vote for their favorite pie with the “People’s Choice Award.” Event includes children’s activities, craft beers and wine. Tickets are $8-$18, with family pass options available. Scarecrow Festival: September 14-16 in Washington Courthouse featuring fun food, family activities, beer garden, rides, food, 5k, car show, and free concerts with John Michael Montgomery, Lynyrd Skynyrd Experience, and more. Stratford Ecological Center Fall Harvest Fair: September 22. Food, wagon rides, kids activities, live music, cider making, animals, and more. $5 per person, $15 for family of 4. Cheryl’s Cookies 2018 Fall Festival: September 29. Annual Fall Festival at our flagship store in Westerville! Fun for all ages and FREE admission for everyone! Chalk the Block at Easton: September 29-30. Artists create 10 foot chalk drawings in the square as bands perform. Welcome to Fall Festival at Glacier Ridge Metro Park: September 30 Celebrate the season with hayrides, live animals, crafts and activities. Meet at bulletin board at picnic shelter. Columbus Mac and Cheese Festival: October 5 Samples all kinds of mac & cheese at Easton from restaurants around the city! Pies in the Park, Gahanna: October 7 Pizza Celebration! German Village Monster Bash: October 13 Adult trick-or-treat route, dancing and drinking, costume contest and more! Highball Halloween: October 26-27 Annual Halloween street party in the Short North with entertainment, costume contests, and more. Highbanks Harvest Fest: October 27 Wear your favorite costume and enjoy a fall celebration. Enjoy hayrides, jump in a giant leaf pile, make Halloween crafts, play games and roast marshmallows over a campfire. Festivals in italics have not been updated for 2018 yet. Ohio Made Holiday Shoppe: November 15 Shop local and drink local at Land-Grant Brewing with Ohio vendors featuring handmade goods – just in time to shop for holiday shopping. Winter Avant-Garde Art and Craft Show: December 1 at the Makoy Center. Admission $3 for ages 13+. Great Train Show at the Ohio Expo Center: January 19-20, 2019 There will be tables of trains for sale, exhibitors from around the country, Model Train displays, and a riding train for kids, plus door prize giveaways. Tickets $9-$10, kids 11 and under are free. Taste of Easton: January 20, 2019 Join 25 of our dining establishments for a Taste of Easton! Sample different delicacies in the Regent Ballroom inside the Hilton at Easton! Tickets are $20 per person and include access to the event, food samples, and two drink tickets. (614) Magazine Restaurant Week Columbus: January 21-26, 2019 Over 100 restaurants offering 3 course prix fixes menus from $15-$40. Buckeye Lake Winterfest: January 26, 2019 See Benny the Bass predict when spring will arrive, watch fireworks, and enjoy specials at businesses around the Lake. Columbus Donut Fest: January 27, 2019 Tickets are $5-$6. SOLD OUT! The Chilly Open at the Columbus Zoo: February 2, 2019. A ticket to the Chilly Open allows you to sample food and spirited beverages from over 30 local restaurants, listen to music from the Debits, participate in raffles and a silent auction, and visit all Zoo and Aquarium exhibits for $45. 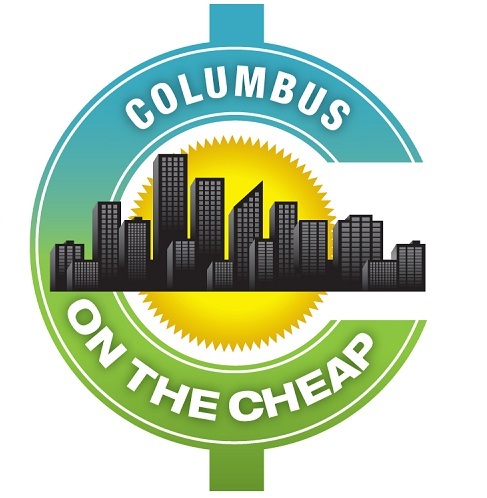 Columbus Winter Beerfest: Friday, February 8 and Saturday, February 9, 2019. This delicious and boozy event will have over 350 craft beers available for sampling, and live music. Regular admission for the tasting is $45-$55. AAA Great Vacations Travel Expo: February 8-10, 2019. Get ideas for your next big vacation by talking to travel experts and checking out vacation packages. Tickets $8; free 16 and under. Cheryl’s Cookies Annual Bake Sale: February 16 Learn about the process and taste the results with maple syrup events around town, including tours to see the tapped trees in action, pancake breakfasts with fresh syrup, and more.